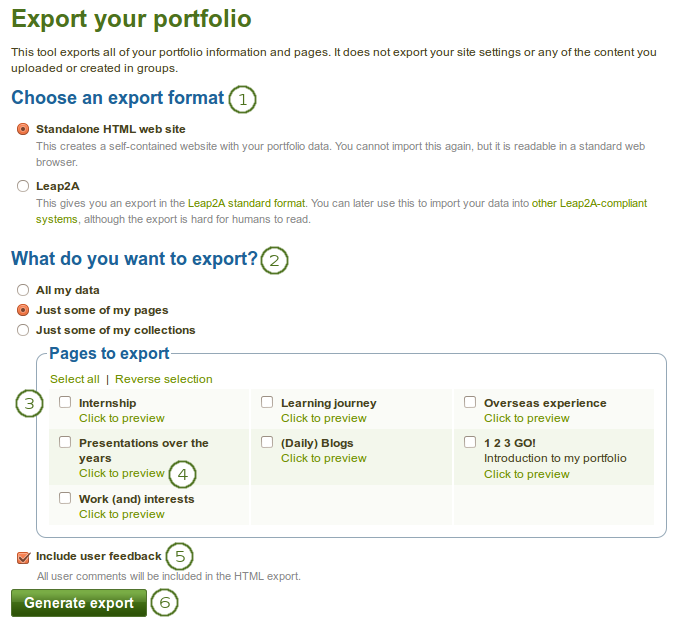 If you have chosen to export just some pages or collections, you can select them here by ticking the individual checkboxes to mark them for inclusion. With the links Select all or Reverse selection you can more quickly decide which portfolio pages or collections to include in the export. Click the Click to preview link to preview a page or collection before you select it. Tick the checkbox for Include user feedback if you want to keep that in your export. This option is only available when you choose the HTML website export.